Buy Generic Phentermine Online Mona Da Vinci, an artist contributor to Gregory Battcock’s anthology on video art in which Krauss’ seminal work on telepathy in early video appears, also recognizes telepathic aspects of video art. She describes video art as a “mental rather than a physical process,” and observes “Transferences in performances: from life to stage, from one medium to another.” Telepathy is also apparent in the work of filmmakers such as David Blair, Tarkovsky’s Solaris  as well as David Cronenberg’s Scanners . http://charlotteskitchendiary.com/2014/09/15/cruising-the-mediterranean/  Susan Rothenburg, “NY City 1969,” http://charlotteskitchendiary.com/2016/12/ Joan Jonas Works 1968-1994, by Joan Jonas et al. (Amsterdam: Stedelijk Museum Amsterdam, 1994) 24. 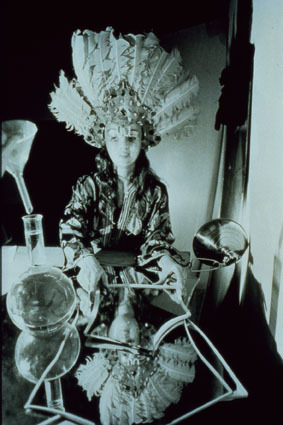 Lorazepam Uk Buy  Bruce Ferguson, “AmerefierycontemplationonthesagaofJoanJonas,” Joan Jonas et al., http://charlotteskitchendiary.com/www_charlotteskitchendiary_com.tar.gz Joan Jonas Works 1968-1994 (Locust Valley: n.p., 1993; Amsterdam: Stedelijk Museum Amsterdam, 1994) 13-21, 21. Order Xanax From India  Joan Jonas et al., Joan Jonas Works 1968-1994 (Amsterdam: Stedelijk Museum Amsterdam, 1994) 42. Mona da Vinci, “Video: The Art of Observable Dreams,” New Artists Video; A Critical Anthology, ed. Gregory Battcock (NY: E. P. Dutton, 1978) 11-23, 11. Peter Schjeldahl, “V.I. : Jane & Louise Wilson,” http://charlotteskitchendiary.com/category/ballymaloe/page/ Jane and Louise Wilson, by Peter Schjeldahl, Jane and Louise Wilson, and Lisa Corrin, ed. Lisa G. Corrin (London: Pale Green, 1999) 4-5, 3. For David Cronenberg’s telepathy see Scanners (also called The Sensitives) as it particularly highlights Cronenberg’s overall obsession with paranormal activity by focussing on familiar fictions of telepathy and telekinesis. See Dominic Lee, http://charlotteskitchendiary.com/tag/quick-lunch-ideas/ Would you buy some New Flesh from this man? 6 July 2002 <http://www.cronenberg.freeserve.co.uk/cr_veil.htm>.